System integration is a nice challenge. Especially, when you're looking for communication standards and reliable solutions. 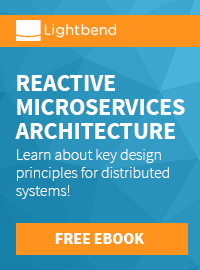 In today's microservices world, everybody talks about REST services and http-based protocols. As a matter of fact, this will never be enough for most enterprise projects which typically tend to have a much more complex set of requirements. A reasonable solution is a Java Message Service based integration. And while we're not looking at centralized infrastructures and ESBs anymore, we want point to point based integration for defined services. Let's see if we can make this work and send messages between JBoss WildFly and Oracle WebLogic Server. But I want to step back a bit first: Why should someone? I think, one of the main motivations behind such a scenario is a slow migration path. Coming down all the way from monolithic, single platform applications we want to be flexible enough to shell out individual services from those giant installations and make them available as a service. Assuming, that this is even possible and the legacy application has a decent design. Or we want to advance individual services, let's say from a technical perspective. In this particular example, we can't wait to get Java EE 7 features into our application and WebLogic is still mostly stuck on EE 6. We could do this with REST services or even WebServices, but we might want more. And this is, where the JMS specification comes in. This file defines all the required resources and dependencies together with the relevant excludes. If this is done, we finally need the message bridge. And the target is the remote queue plus connection factory, which are defined in WebLogic Server. I assume, that you know how to do that, if not, please refer to this documentation. That's pretty much it. Now we need to send a message to our local queue and this is going to be send via the bridge over to the WebLogic queue. Deploy a message driven bean to WebLogic (Yes, you'll have to package it as an ejb jar into an ear and all of this). This particular sample just dumps the message text out to the logger. Now we need a producer on the WildFly server. Do do this, I am actually using the WildFly-Camel JMS integration. That's the whole magic. A timer sends a JSON Text message to the local queue which is bridged over to WebLogic. Another important thing is, that you will run into classloading issues on WildFly, if you try to use the custom module in any other scope than the bridge. So, pay close attention, that you don't use it somewhere else. The bridge has a comparibly large failure-retry-interval and max-retries configured. This is a workaround. If WildFly startup is too fast and the bridge tries to access the local sourceQ before the queue is actually configured, it'll lead to an exception. Find the complete source-code in my GitHub account.